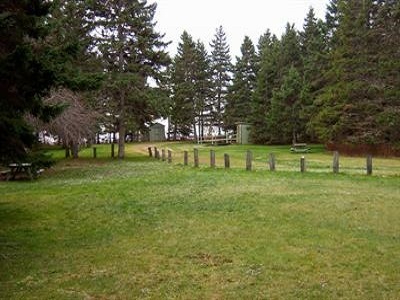 MacCormack Provincial Park is a small picnic park overlooking Bras d’Or Lake on Cape Breton Island off Route 223 on the Bras d’Or Lakes Scenic Drive. Picnic tables are scattered through a softwood forest. The park has beach access with a view of picturesque Plaster Cove.